Hiiiiii everyone! Long time no see, but I’m back and am hoping that you’re all enjoying the remaining summer days! 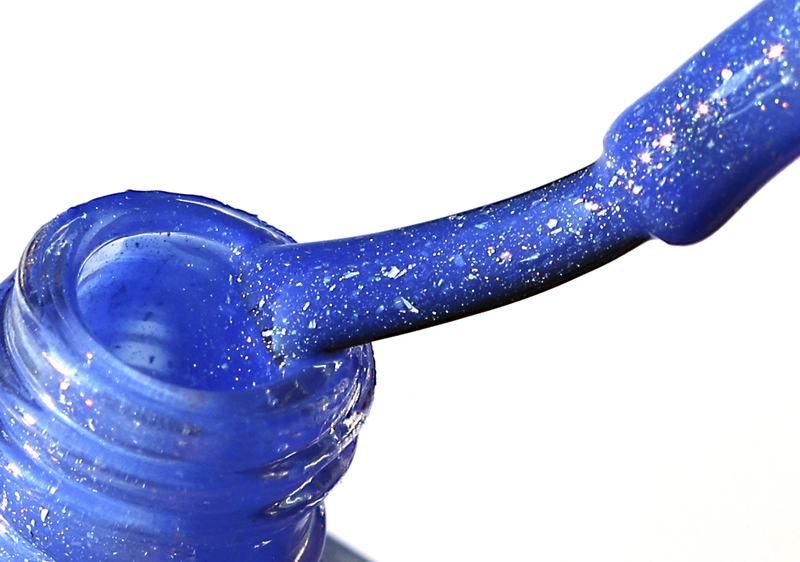 Well, today I have a huge surprise for you: behold…I’m unveiling MY own lacquer. I am excited beyond words…but read on and you’ll know what I mean. Most of you know by now that one of my favorite polish brands is Picture Polish. Well, I was honored to have been invited to create a collaboration shade with them! Now, before I go on further, I must preface by saying that it’s got that special place in my heart and I’m in LOOOOOOOVE. And it’s a deep, unconditional and utterly biased love that any mother would have for her child. Even so, I still believe that this particularly shade is simply GORGEOUS! It’s name? Forget Me Not. Yes, inspired in part by the beautiful flower and no surprise that it would be a blue! I began with the slightly dusty blue base of the flower, then intensified it with a bolder, almost neon like twist and an ever so subtle hint of periwinkle that only comes out to play in certain lighting. I love that this unique blue is chameleon like: in sunlight (which is all the photos here), it’s bright and intense, symbolizing passionate love. In warm indoor lighting, the periwinkle dances on the surface, symbolizing a budding romance. 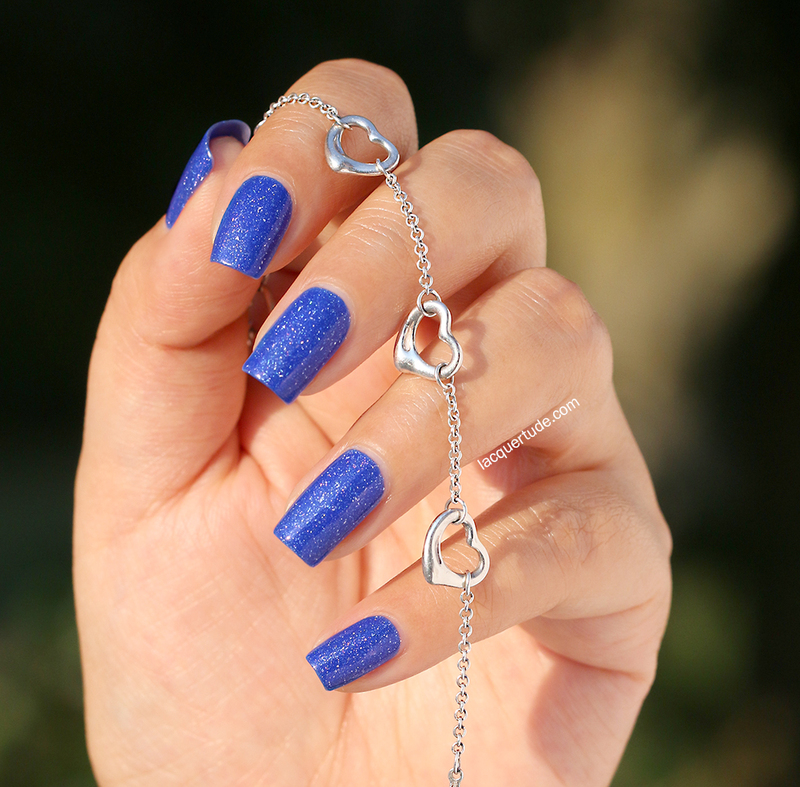 In dim lighting or the shade, it takes on a deeper royal blue tone, symbolizing everlasting love. Note that I’ve done the best I can to represent this color in bright sunlight. But, in truth, like many blue polishes, it’s impossible to capture on camera. So, you’ll benefit from seeing other people’s swatches and reviews. And of course, to see it for yourself in real life! But one thing I can assure you is this: it’s a very distinctive blue, and definitely unique in my collection. Blue lovers will NOT regret getting it! It’s the infamous Picture Polish “scatter holo” found in many of the most popular shades within the brand. It has become one of my all time favorite of textures. Covering in 2 easy and smooth coats. In the above shot, I like how the labeled bottle shows the silvery shimmer and the clear sample bottle shows the rainbow holo effect. It’s truly exquisite! I was inspired by the story behind the dainty flower: Legend has it that the wearers of the forget-me-not flower would not be forgotten by their lovers. 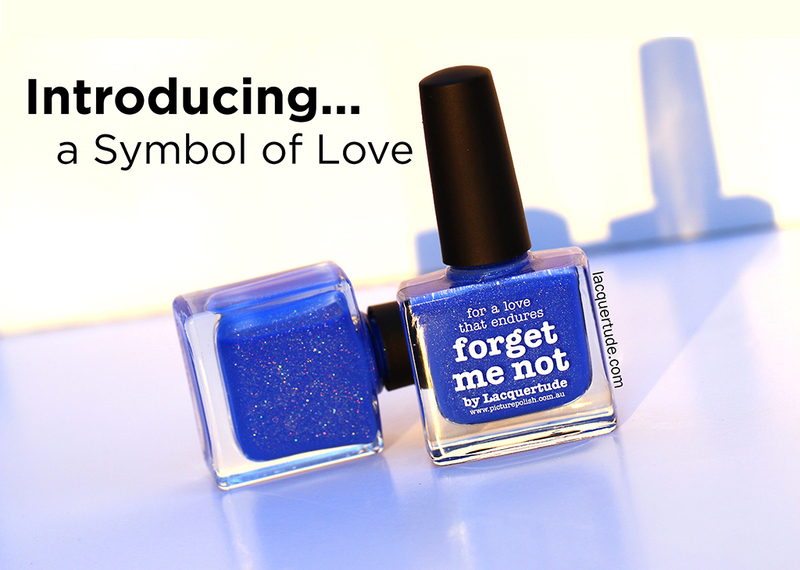 Captivated by the romance, I bestowed the same name to my vivid and shimmering blue lacquer, to be worn or gifted as a symbol “for a love that endures”. To accompany my beautiful Forget Me Not, I chose to echo the “love” theme with the open heart bracelet by Tiffany & Co. The petite hearts strung together perfectly complements my inspiration story! Hi Kate, congratulation on your collaboration shade, it’s gorgeous ! I will need to get this one for sure !!! OMG…..KATE! This is stunning!! Congrats on your collab shade! It’s beautiful and I will be getting it ASAP!